Three position mini toggle switch. 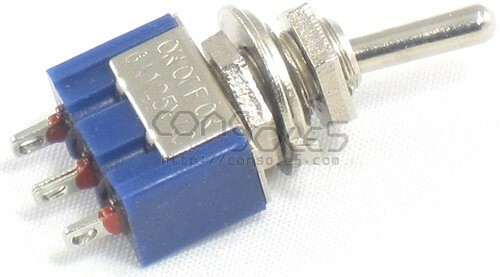 A small three position mini SPDT toggle switch. Great for multi BIOS modifications, system region mods, etc. Comes with lock washer, flat washer, and 2 nuts. Solder eyelet terminals.